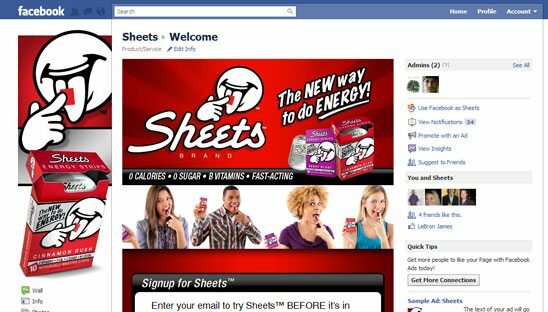 Sheets™ Brand Energy Strips are the NEW way to do ENERGY! Individually-wrapped, fast dissolving and loaded with B-Vitamins, they are available in 4-packs and 10-packs. 2nd Facebook project we have done for Purebrands. We loved creating a custom Facebook page with their fun branding. Using the iframe reveal code (fan gate), this tab has more videos and information show when someone likes the tab. Many videos on this page (one with Lebron James). Check out the css video slider we created.